It has been said that reading is dreaming with your eyes open, the one way to travel a thousand miles, live a million lives and travel through time without ever leaving home. Books are magical – they empower girls to have strength, confidence and leadership. 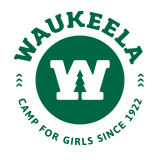 At Camp Waukeela, girls love to read! If you are thinking about sending your daughter to camp with a book, below are several options based on her personality. This award-winning read features Maggie, a girl whose greatest hardship, despite her crooked leg and crutch, is feeling lonely. One day, while looking into a magic mirror meant to show a viewer’s deepest desire, Maggie spies an imprisoned man and is sure it’s her father. She sets off on a quest to find him. Along the way, she encounters nefarious criminals and kind fellow travelers, as well as a princess who looks just like her. Funny and heart-wrenching, this is a must for every girl. An oldie but a goodie! Girls love the exceptional, funny, bookworm Matilda. In a world ruled by menacing adults, Matilda discovers she has a remarkable power to fight back. This beloved classic gives young readers of all ages positive messages of independence and individuality. Every girl can relate to that dread in September when school starts. Sarah Jane Hartwell is starting over at a new school, and she’s scared. She’s just sure she’ll hate it. Find out what happens when Sarah Jane faces her fears. Pre-K through second-grade readers will find some reassurance knowing they aren’t alone in their anxieties about starting new things. Twelve-year-old Catherine struggles with life with an autistic brother. His autism is the focus of the whole family’s dynamic. She’s spent years trying to teach David rules to prevent his embarrassing behavior. When Catherine meets Jason, a non-verbal paraplegic boy, and Kristi, the girl-next-door she’s desperate to befriend, she realizes it’s her own behavior that makes her confront the question, “What is normal?” This award-winning novel for grades 6 through 8 provides a humorous spin on feeling different and finding acceptance.